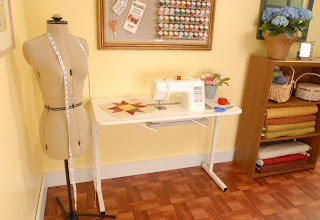 Arrow Sewing Cabinets: 2500 Celebration! Who's the lucky winner? It's Virginia Carter! Yay! Virginia, please email cs@arrowcabinets.com and let them know which prize you'd like! Don't forget everyone, we'll be giving away another Gidget II when we hit 3000, 3500, 4000, and 4500. Then, a whole sewing suite when we get to 5000 - chair, cutting table and choice of an Arrow cabinet. Wowza! yay Virginia...which do you want? Congrats Virginia! I love that chair too...wow would be a hard decision! Yippee for Virginia! Bummer for the rest of us. Guess we will just keep this page out in the front of all our friends minds with constant reminders to LIKE, LIKE, LIKE. Oh I'm SOOOOO happy for you Virginia!!!! Congrats!!!!! Can't wait to see what you choose!!!! Congrats!! That is a hard choice!!! Congratulations! You will enjoy this for many years to come. Congratulations to Virginia...The Gidget II looks cool! Congratulations, Virginia! Tuff choice to make!! Enjoy your good fortune, Virginia! It is a great prize either way! Congratulations. Congrats! 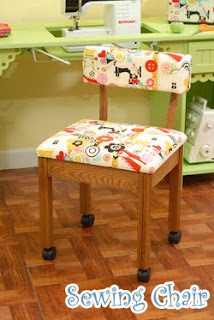 I love the chair!! !